Once again, apologies for not posting in a while; life gets in the way (aka, being tired all the time) and that leaves no time to write up blog posts and get them scheduled before I fall asleep; hooray! 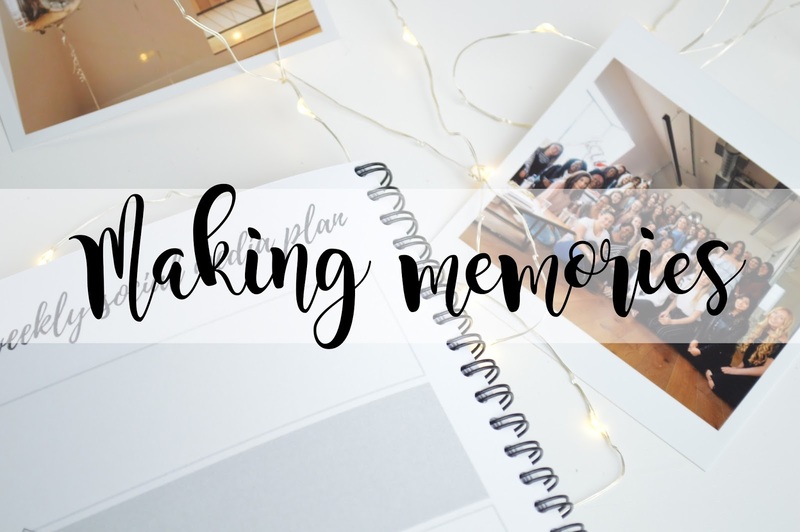 Today's post is all about making memories and being able to hold them memories with you. Printiki recently got in contact with me and wanted me to pick my favourite photos to have printed onto the most smallest prints ever and after going to the #BWBLaunch, I had to get a couple of pictures from this event printed off! Unfortunately I didn't end up taking many pictures, but I'll be sure to do so at the next event which I go to. I am definitely one for taking pictures of absolutely everything and anything so that I can hold the memory with me forever. Since I've known my boyfriend, I've had every single picture printed off from our first two holidays, as well as my first birthday with him. I plan to print off a lot more but as we all know, it is an expensive hobby printing off pictures. Printiki Provides so many different types of prints which you can have your pictures printed out on to. As well as so many different sizes. I went for the size "Square M" and a standard white border. However you can go for a full border or even a black border. Printiki also provide the opportunity of polaroid prints which is also one of my favouites. Once you've decided what size print and border you want, you go ahead to make an account where you can then upload your pictures (however many you want), and you then go on to pay. It's really as easy as that. What I absolutely loved about Printiki is how they are not like any other photo printing company such as Boots Photo. Instead of the standard 6x4 prints, they provide the smaller, cuter, scrapbook size photos which I know so many people love. If you also do not have a polaroid camera, this is another option so you can still have your incredibly cute polaroids in a frame on your wall. As I have had pictures printed from my first blogger event, I've decided these prints are now the ones which I'll be using to print off future blogger events where I take the cutest pictures. (It's nice to have a theme in your photo collection). They're small, but not too small and can you just imagine the amount of pictures you can have in a large frame; a heck load. Are you a lover of polaroid prints? Head on over to Printiki!